Trail access is monitored by DORBA and is only open during dry conditions. 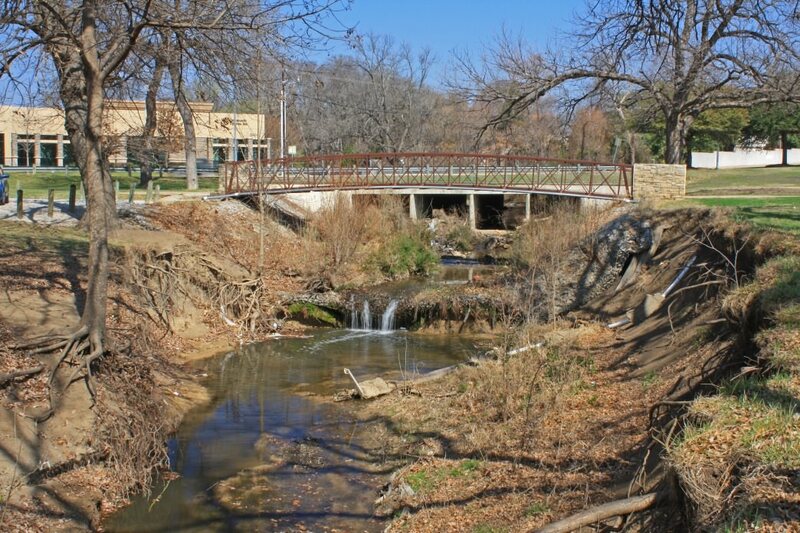 At the northern edge of the White Rock Greenbelt, a small but wooded park straddles White Rock Creek and provides the North Dallas suburbs some urban relief. Harry Moss Park is a multi-use outdoor space providing the public with sports fields, creek and fishing access, and various use trails. In partnership with the City of Dallas, DORBA has blazed a system of loops consisting of 6 miles of single track mountain bike trail. Well maintained by DORBA, these 7 loops contain wooden obstacle features, trail bypasses, and access to the White Rock Creek. Although the park is surrounded by industrial and residential zones, it is unsuspectingly wooded. Nearly every foot of the trail is canopy covered, giving the rider a sense of deep remoteness. From the main trailhead at the north end, drop into the outer blue loop to start your journey. Twists and turns as well as several sections of multiple hills dominate this portion of the track and resemble a BMX circuit with the amount of speed you can gain if your peddling hard. Several man made obstacles made of wood can be found throughout this section with well-marked bypasses provided before each one. The flurry of obstacles soon gives way to some long flowing areas heading south to the sharp turn at Walnut Hill. Dirt berms litter this section, and the leg pumping biker will get the sensation of being on a roller coaster as they fly down the single track. A few hundred feet more, and you’ll be faced with a decision of taking the green loop under Walnut Hill or continuing onto the Yellow or Orange loop to the north. The Green loop plunges east along Walnut Hill until it reaches the Purple Loop turnoff. The Purple Loop is the longest stretch of trail, and provides for tight switchbacks and the thickest canopy in the park. The tight twists and turns, along with the volume of small hills plunging into creek beds provide for a nice ride for intermediate riders. Beginners will be able to complete the circuit, however the tightness of the track will make it slow going. With the addition of the wooden obstacles, the Harry Moss Trail has become a local favorite for a quick ride for intermediate-advanced riders. 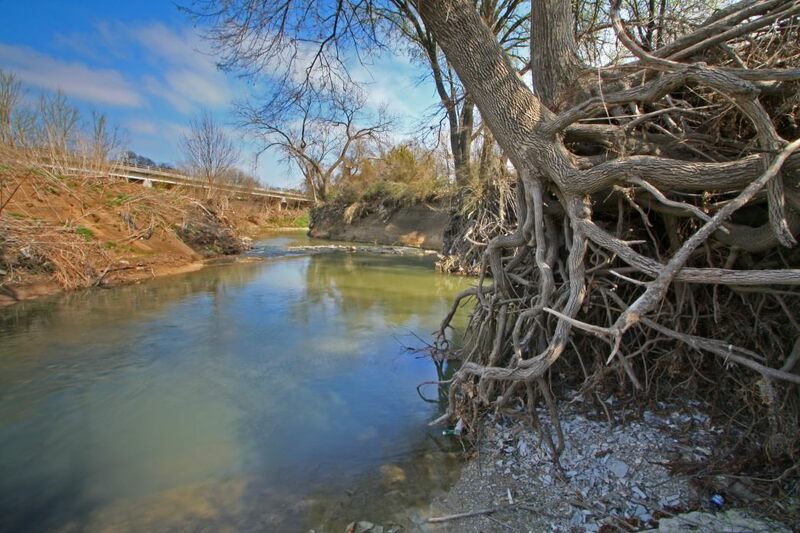 Those looking for a longer day out will enjoy the access to the White Rock Creek Trail. 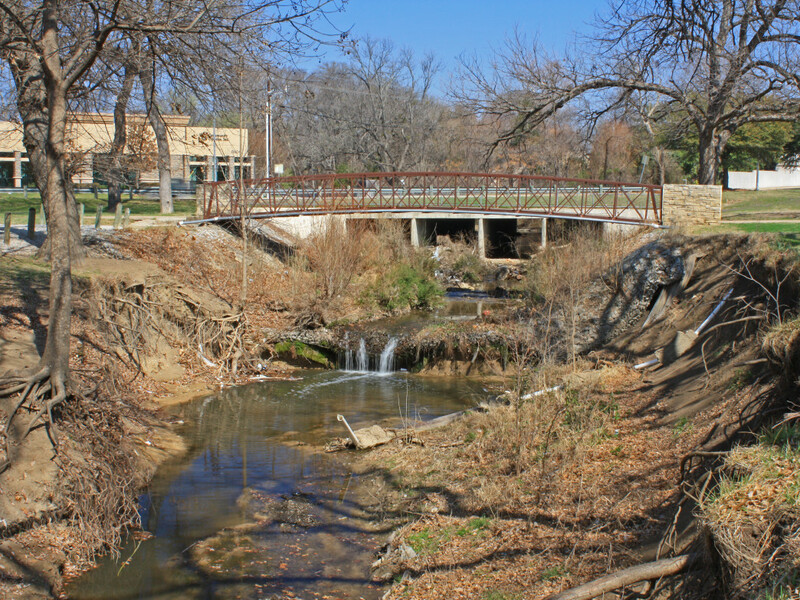 With a short walk across the Walnut Hill overpass, riders can access the paved trail and head south towards White Rock Lake. From downtown Dallas, take I75 north and use the Walnut Hill exit. Take Walnut Hill East until reaching Greenville Avenue where you’ll head north. After the liquor store, take a right immediately before the soccer fields. There will be signs for Harry Moss Park, as well as DORBA sponsored signs of Harry Moss Trail. Parking is free in the marked parking lots, but no overnight parking is permitted. Trail access is monitored by DORBA and is only open during dry conditions. Have fun, and always wear your helmet!